GUELPH, ON (February 24, 2014) – Grain Farmers of Ontario strongly supports the negotiation of a Free Trade Agreement (FTA) with South Korea and looks forward to its successful completion and ratification. Now in its final stages, this agreement will create market opportunities for Ontario’s corn, soybean, and wheat farmers that were previously unattainable. “We look forward to building a stronger relationship with the grain industry in Korea and increasing our agricultural trade in that region,” says Henry Van Ankum, Chair of Grain Farmers of Ontario. This FTA will allow duty free access for Ontario corn, commodity soybeans, and wheat and open new market opportunities for Identity Preserved soybeans. 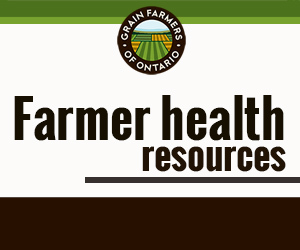 The Agreement also establishes increased market access across other sectors of Ontario agriculture, including livestock, which is a strong domestic user of grain. 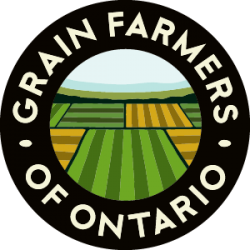 “Grain Farmers of Ontario applauds the work of all involved to establish the Canada-Korea FTA and we support the ongoing efforts to finalize this important agreement,” continues Van Ankum. One of the groups involved in the discussions leading up to this FTA has been the Canadian Soybean Exporters’ Association (CSEA). In 2013, Korea was the 16th largest market for soybean exports, with Canada exporting over 17,000 metric tonnes into the country. “As an exporting organization, the CSEA is supportive of the new volumes achieved for food grade Identity Preserved soybeans within the Canada-Korean FTA, and feels it will be positive to the Canadian soybean sector, including both growers and exporters,” says Dave Buttenham, Secretary Manager of the CSEA. Korea imports over 70% of its food, presenting excellent market potential for Canada. Establishing a strong trade relationship, through the Canada-Korea FTA, is a priority for the Ontario grain industry.